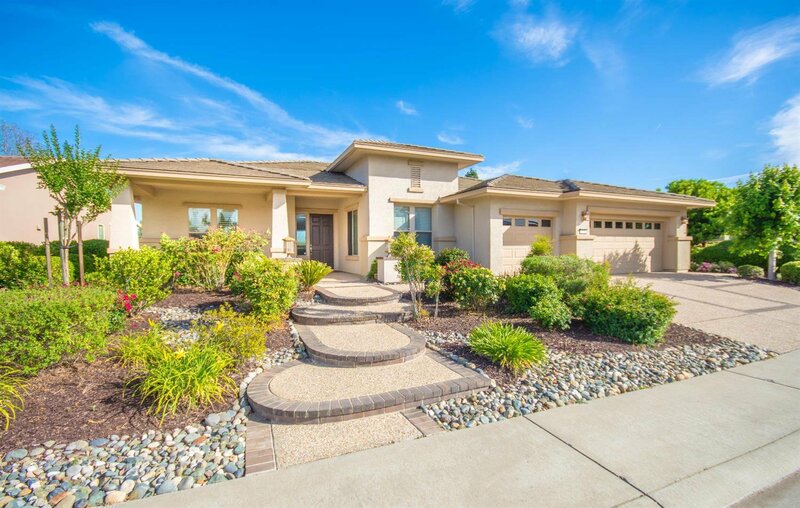 Napa Model well-maintained home in Sun City Lincoln Hills, with amazing views of the golf course! This single story 2264 sq ft home features two master suites with optional 3rd bedroom and 2.5 baths. A welcoming flowing floor plan with spacious living room and dining room. Gorgeous open kitchen with center-island. 3 car garage, laundry room has custom cabinets. Lush landscaping in front and back. Enjoy your morning coffee on your porch on hole 9! This house is a Hole in 1, come see! Listing courtesy of Keller Williams Realty. Selling Office: 1st Priority Realty.